Have you seen him? Sen. David Perdue. Last seen ducking constituents. Given recent reports of delusions about “programmed” protesters and “paid” agitators, secret trips home during the congressional recess, as well as “pay-to-play” access, we are concerned about his safety and well-being. His constituents, everyday Georgians, seek town hall meetings to discuss pressing issues that affect us and our great nation including health care and immigration policies, as well as Russian interference in our elections. 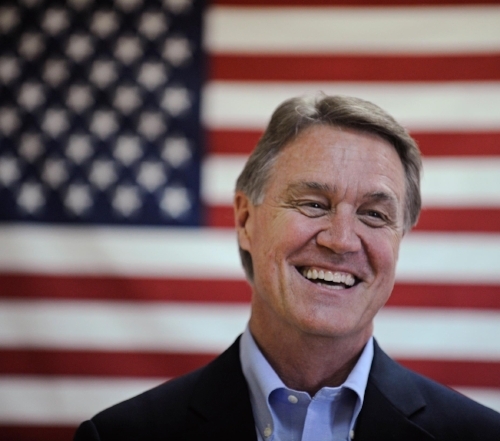 Given Perdue’s isolation and unwillingness to meet with voters in person or at town halls or without a donation, there are concerns about his well-being and ability to serve Georgia. If seen, ask about his well-being and for town hall meetings in Atlanta and throughout Georgia. Is he fit to serve?